Have you ever noticed that Japanese origami is often seen in our daily lives? I don't mean actual paper folding or cutting, kirigami-style... I'm talking about the influence of sharply creased lines in architecture, furniture, clothing, home and fashion accessories, and even as I linked to in my most recent newsletter, in the next generation of bandages. veni morgan, a leather goods company in Greece, was founded in 2016 by 31 year old mathematician and architect, Pantelis Venizelos. "With an inclination for trigonometry, perfection and minimal design, he created a unique set of handbags and backpacks based on those principles." Indeed! One of each please. See the latest veni morgan bags on Instagram. Patch Design Studio, established in 2012, is a collaboration of architects, Ipsit Patel and Rika Chaudhry. "Both partners have worked together on several projects ranging from documentary films to architecture and design competitions. Sharing a common design sensibility, together they set up Patch, a multi-disciplinary design studio in Mumbai." 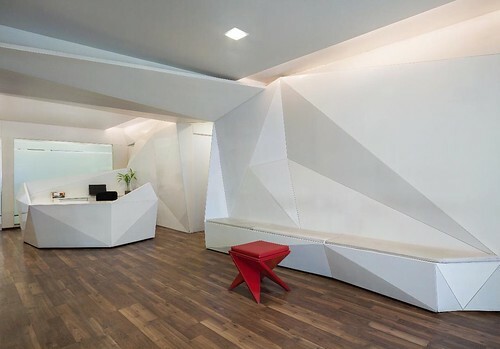 I'm eyeing the angled walls, desk, and stool of this diagnostic center waiting area... their intention was "to create an environment that breaks away from the notions attached to a medical centre." This gold bar with birds on a wire above it was designed for a private residence. See more origami examples in Patch Design Studio's Blast from the Past series on Instagram. 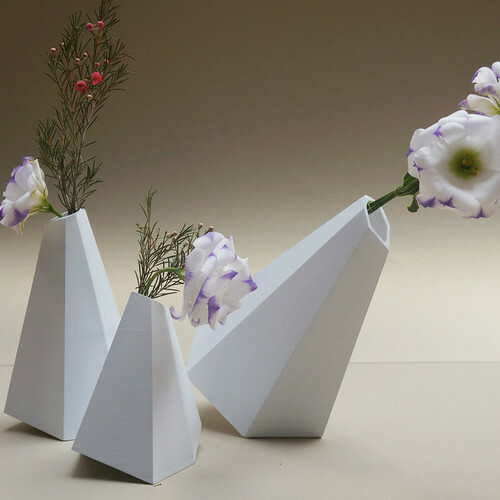 Meital Komemy is an industrial designer and high-end origami product designer in Israel. 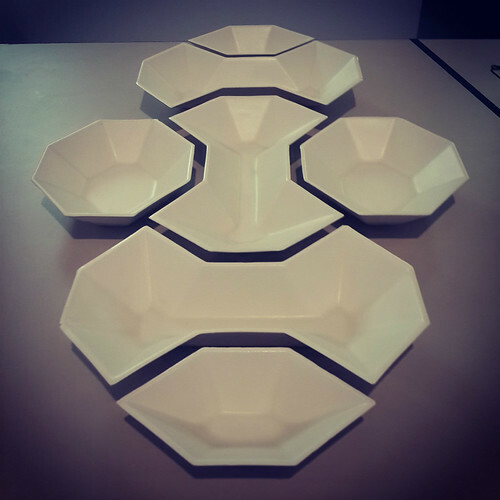 The head of Kami Doro Studio, she is currently working toward a master's degree in ceramic and glass. The Nivrasha Pendant Light, 3 Nuns Ceramic Vases, and Meze Porcelain Tableware owe their elegance to the look of origami creases. In addition to her product line, Meital creates store window displays, props for product placement, and custom folded invitations. 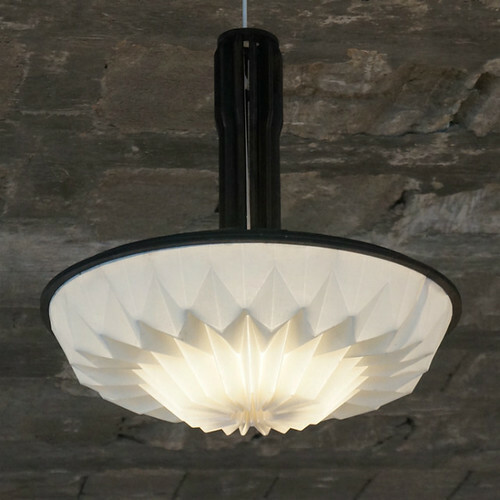 See Meital's flexible lighting designs in action on YouTube and her latest work on Instagram - @kamidoro. Merav Peleg is a conceptual designer in Israel who focuses on paper fashion and paper accessories for store windows, events, and exhibits. 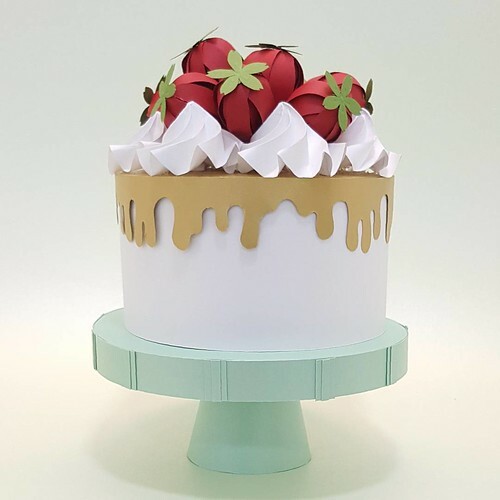 She posts colorful, perfectly made pieces on Instagram (@merav_peleg), such as this strawberry cake with its curved crease icing. Merav created a cut and folded black paper dress and fascinator for Highcon, a manufacturer of digital cutting and creasing machines. Christopher Guy Harrison of Christopher Guy, headquartered in West Hollywood, California, is a luxury furniture designer. 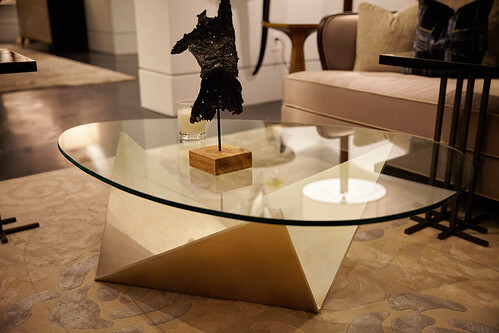 LANG (above) is described as the "perfect coffee table for a minimalist, contemporary or more classically styled living room." 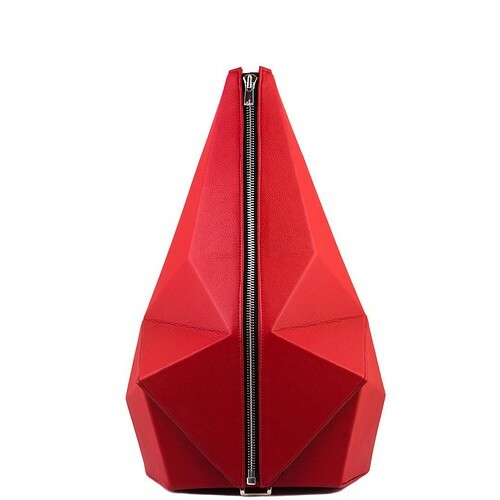 The design features an origami-inspired metal base and is named after the highly-regarded origami artist, Robert Lang. 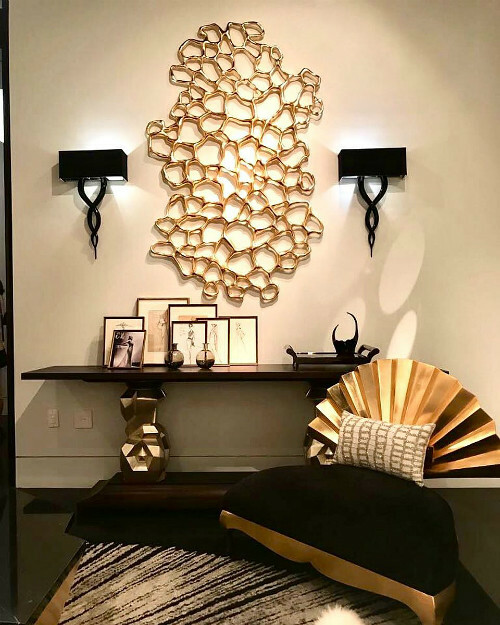 The golden fan back of this wide seat as seen at Las Vegas Market 2018 via @christopherguyofficial on Instagram shows the influence of origami as well. 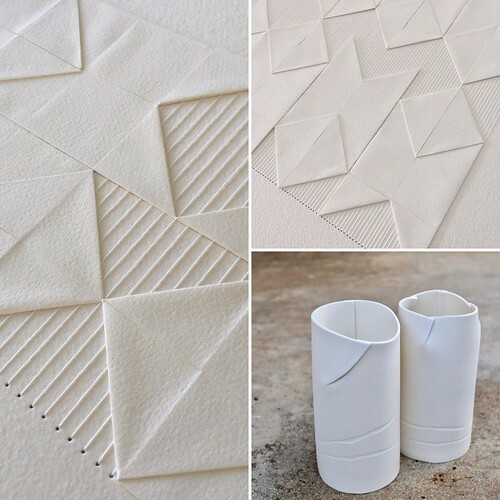 You might recall Brisbane artist Liz Sofield's beautiful geometric stitching on watercolor paper in this paper stitching round up. Here are examples of her porcelain and folded/stitched paper art, both inspired by origami. As she explained on Instagram, where she is @liz.sofield.artist, "This fascination began a few years ago, when my son was obsessed with folding paper planes." 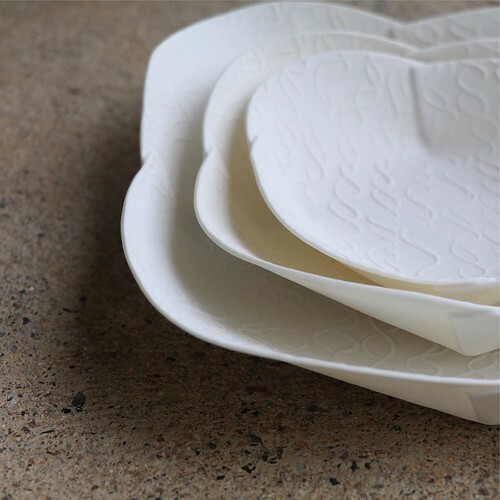 How perfectly understated is this set of ceramic nesting bowls, Folded Waves, that Liz hand-folded and imprinted with a swirling tactile design. 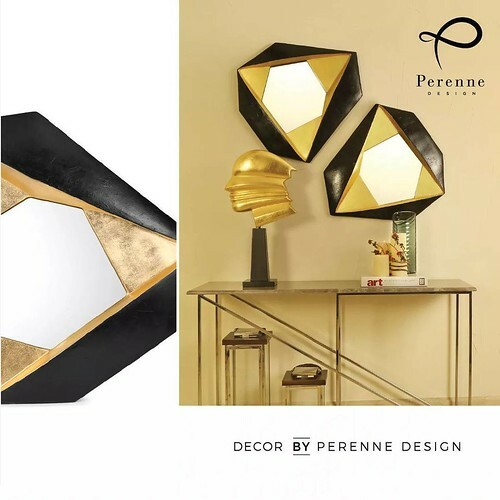 Perenne Design is a luxury brand of home decor in India. The solid metallic base of the Kotai Lamp resembles origami folds. 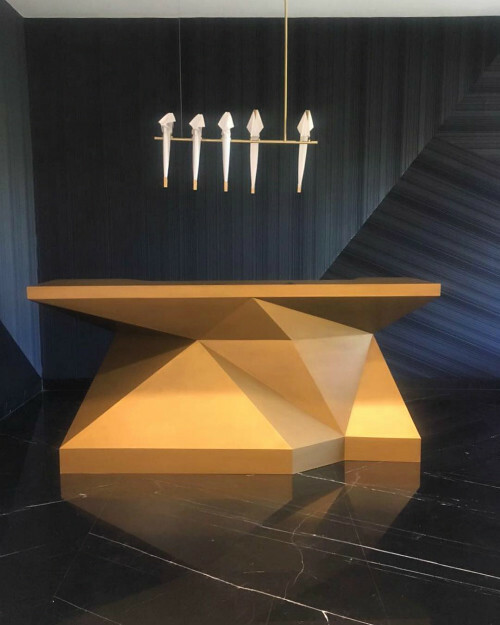 The black and gold statement Origami Mirror is handcrafted in a triangular, folded form. 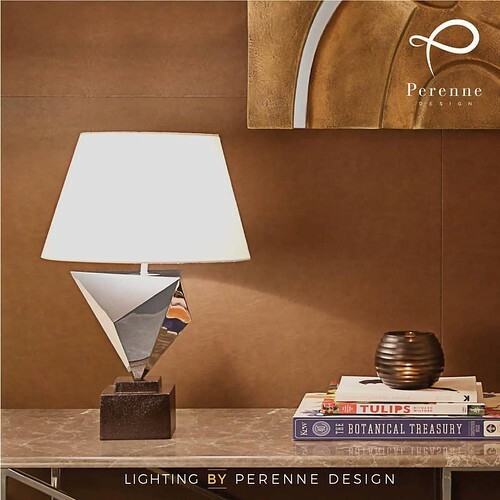 On Instagram: @perennedesign... inspired by elegance, driven by design. Have you noticed origami in your daily life? Tell us about your finds in a comment below.